The Church of God is a compact yet comprehensive account of the nature and activity of the Christian Church. 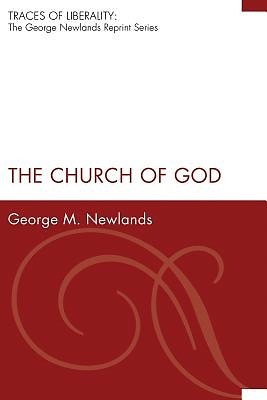 George Newlands provides a most reliable guide to the main features of doctrinal development, considering the development of the Church, ministry, and sacraments up to the present day, and beyond this to consider requirements for effective ministry of the Church in the future. George M. Newlands, PhD, DLitt, FRSE, FRSA, is Professor Emeritus of Divinity at the University of Glasgow and an Honorary Senior Research Fellow.